PHSE and Citizenship in Circle Time is an invaluable resource for teachers and classroom assistants. 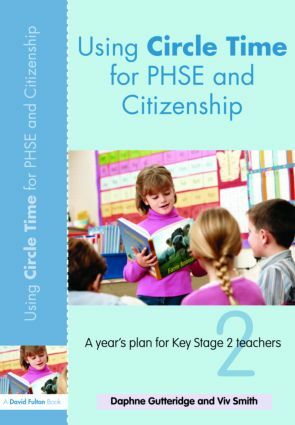 Covering the PHSE/citizenship national curriculum for key stage 2 this practical companion provides a year’s worth of circle time sessions with photocopiable assessment sheets. respecting the differences between people. Each lesson is linked to the Every Child Matters outcomes and the SEAL initiative (Social and Emotional Aspects of Learning) Opportunities for assessment and follow-up work are clearly built into each lesson and pupils are encouraged to review their own learning. This useful book is for practitioners who really want to make a difference in the classroom and are committed to stimulating pupils to think about issues on a personal level, in their community and globally.